Start your mornings with a generous portion of Nutty Yogi's peanut butter spread on your toast or mi..
YB Natural Products Peanut Butter is made from naturally grown peanuts roasted and salted. This Pean.. Enjoy the classic flavours of the all new Nutty Yogi chocolate peanut butter enriched with the fines..
YB Natural Products Nutter Butter is made from naturally grown peanuts, almond, cashew roasted and s..
We Offer High Quality Peanut Butter, Which Is Known For Its Yummy Taste. 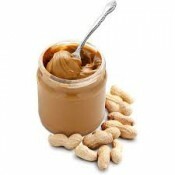 This Pack Is Specially Intr..
Peanut butter is a food paste or spread made from ground dry roasted peanuts. It often contains addi.. Peanuts, ground to perfection creating an all-natural creamy nut spread. Meet our one ingredien..
Made from roasted almonds with Himalayan pink salt, can be used for breakfast with bread toasts, 2 s..
An alternative to butter or peanut butter that retains the same crunchy texture and offers a higher ..
First time in India Nuteva introduces Natural Almond butter with coco nibs Made from roasted ..
A magnificent blend of fiber and protein rich almonds and sinful dark cocoa. Pure guilt free in..
Almonds with a touch of honey, ground to perfection creating a deliciously healthy nut spread t..
Meet our one ingredient pure nut butter with no added anything! Nutrition packed almonds, groun.. Protein rich almonds ground to perfection, enriched with Omega-3 filled flaxseeds.Recommend..
A velvety smooth concoction created using only cashews. One of our famous one ingredient pure n.. Proudly made in the USA using only USA grown/harvested Non GMO - peanuts since 1925 No preserva.. 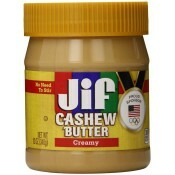 Proudly made in the USA using only USA grown & harvested Non GMO peanuts since 1925 No Hydr..
For the 1st time in India! 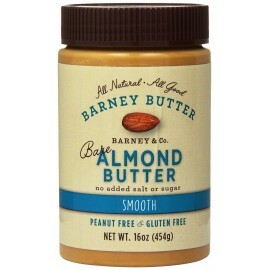 All natural Healthy Peanut butter! NO PALM OIL, NO HYDROGENATED OILS, NO ..